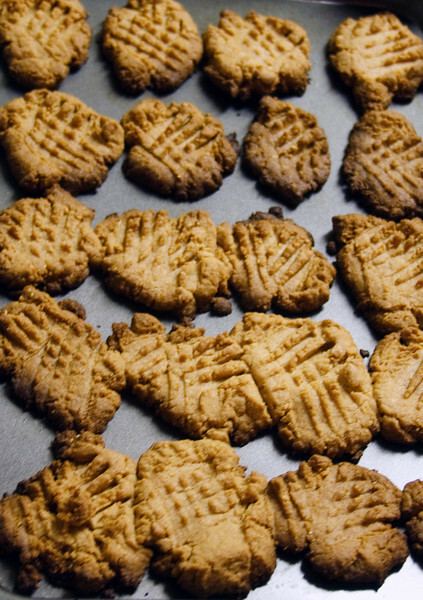 Dessert-peanut butter cookies, (No flour) as I have Celiac disease. Recipe is super easy: 1 cup peanut butter any style (creamy or chunky). Now this is making me hungry ;). Nice shot and thank you for the recipe ;). My favorite cookies are peanut butter. I am going to try this recipe; seems easy enough.